Baby Kallum will be turning 2 in a few short months, time to get his newborn session blogged. It is one of my favorites! But first a quick refresher on his beautiful mother’s maternity session. 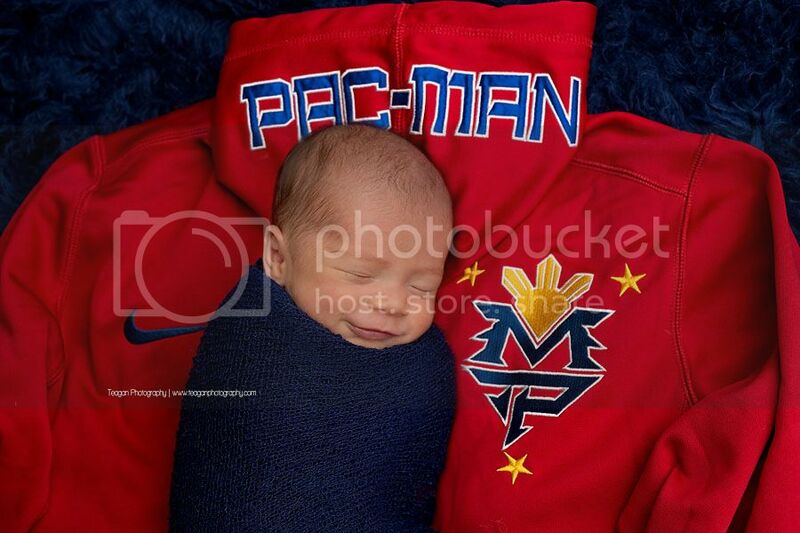 Baby Kallum was born into a family that loves professional Filipino boxer Manny Pacquiao and the Edmonton Oilers hockey team, so when dad brought out a few pieces of official clothing he wanted Kallum photographed I was excited. 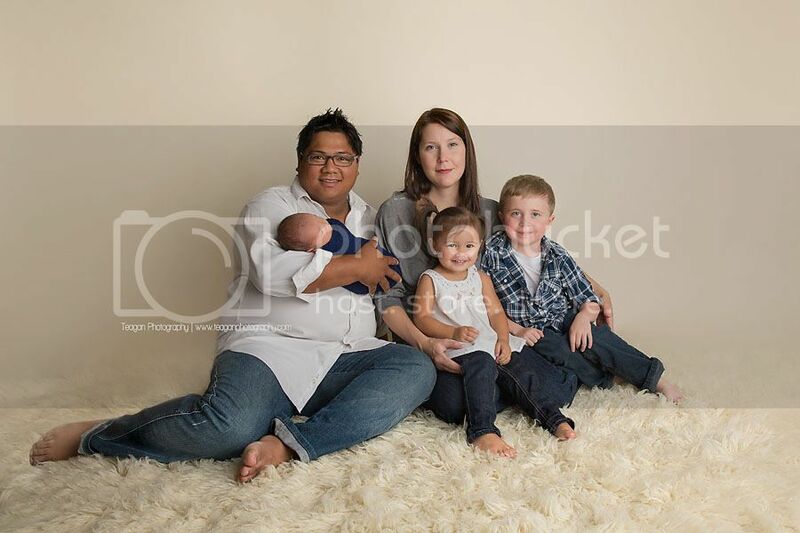 I love when I am able to use bold colours with newborn babies, and the red, navy blue and orange look awesome! Kallum was such a good sleeper that I was able to get many different setups, including one with the family dog Chico. *sidenote: the photo with Chico was a composite and dad’s hands were always one baby Kallum. Also this is something I will only attempt with dogs that are well trained and can sit or lay still. 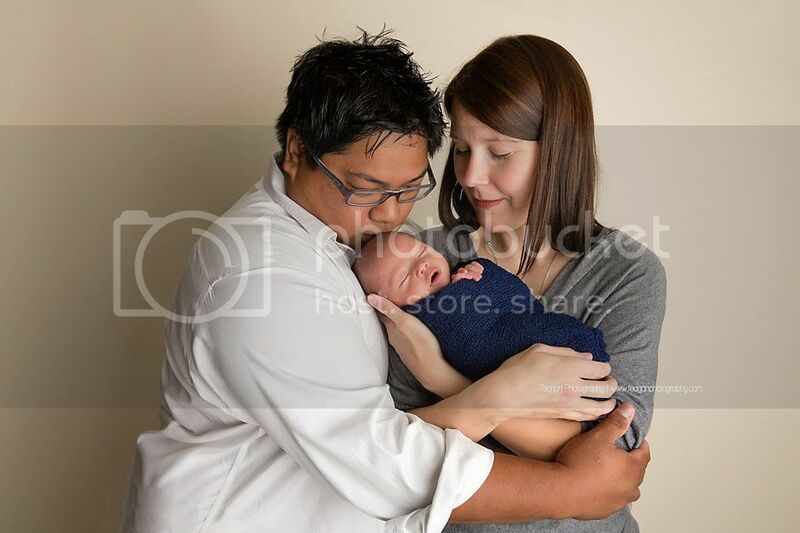 What a beautiful family and their sweet newborn baby. I love the dark blue and orange color combos. 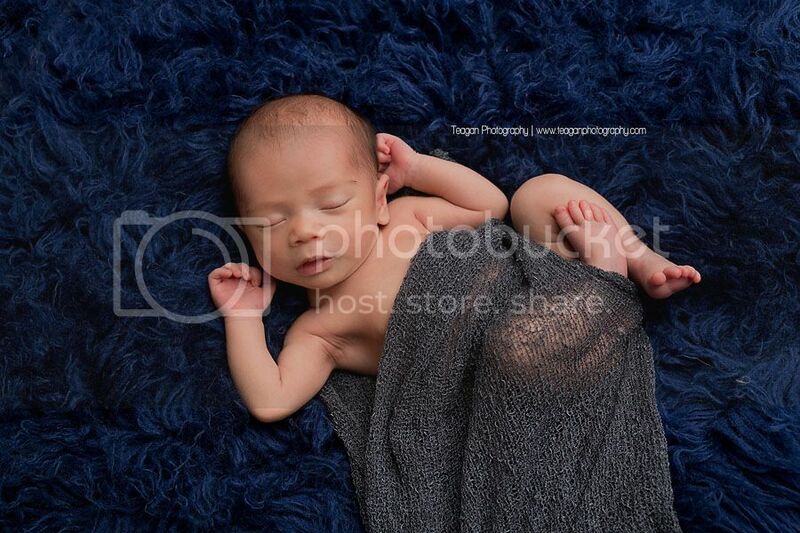 He is absolutely precious and these newborn photos of him are awesome! 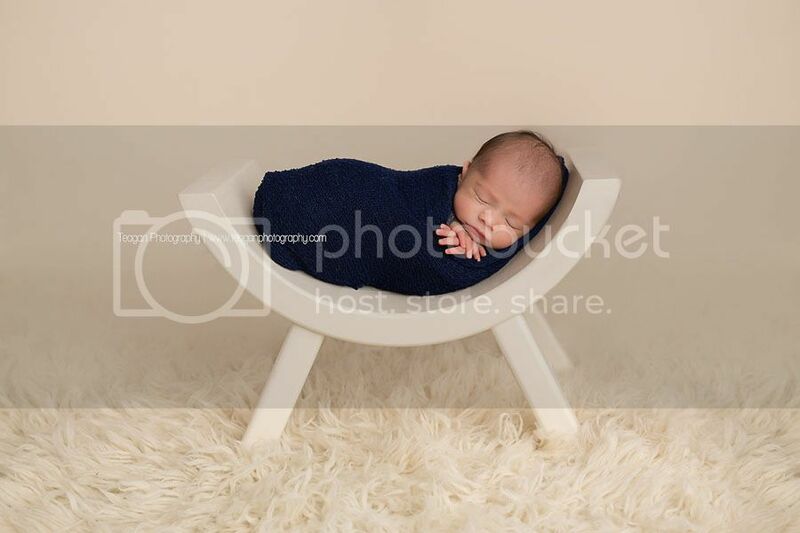 What a lovely newborn photo session. I love the mix of natural poses and props. The dog and baby photo is my favourite, what a great job and amazing photoshop skills! 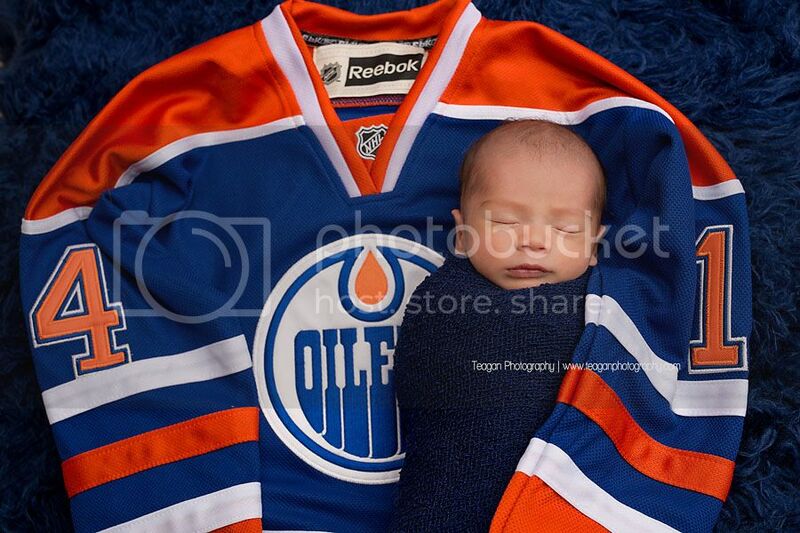 I bet you're a popular baby photographer in Edmonton! 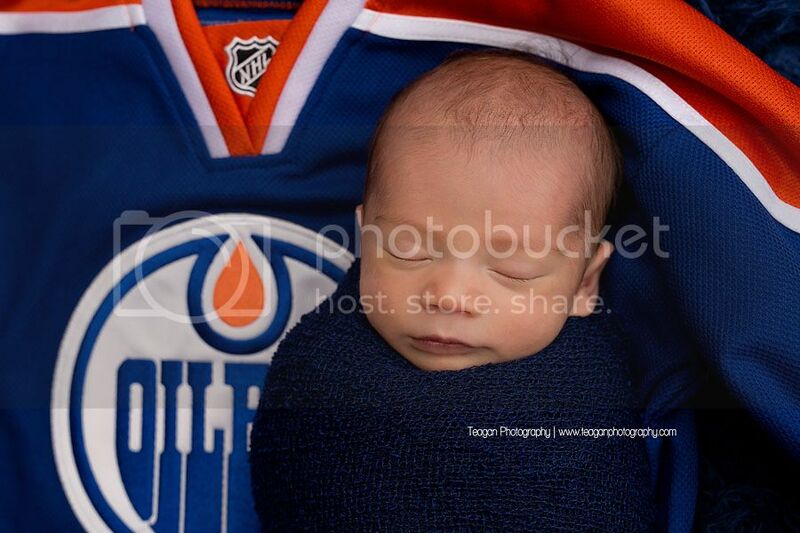 What an adorable Edmonton newborn photography session. I love how dad added in some of his favorites to the session! Looks like a proud (and sporty!) Edmonton family! I love how you can see their personalities throughout the entire themed newborn session! 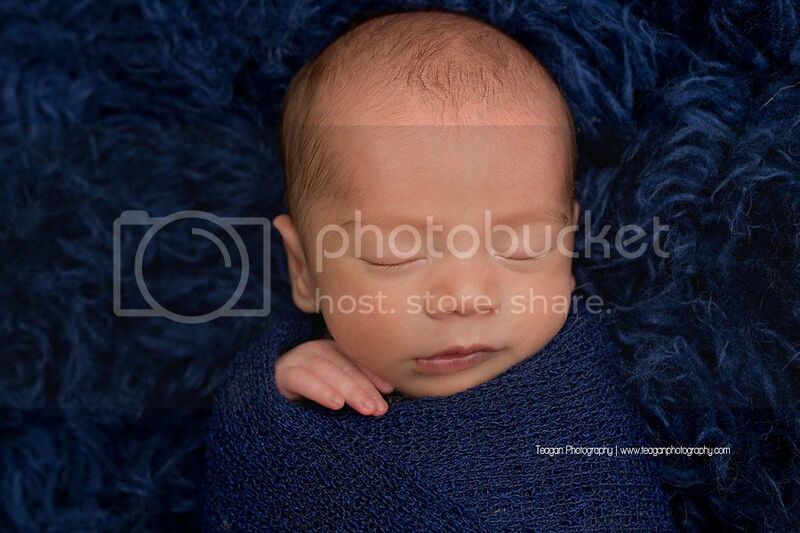 This newborn session is just the cutest! Also, how well behaved was that pup?! 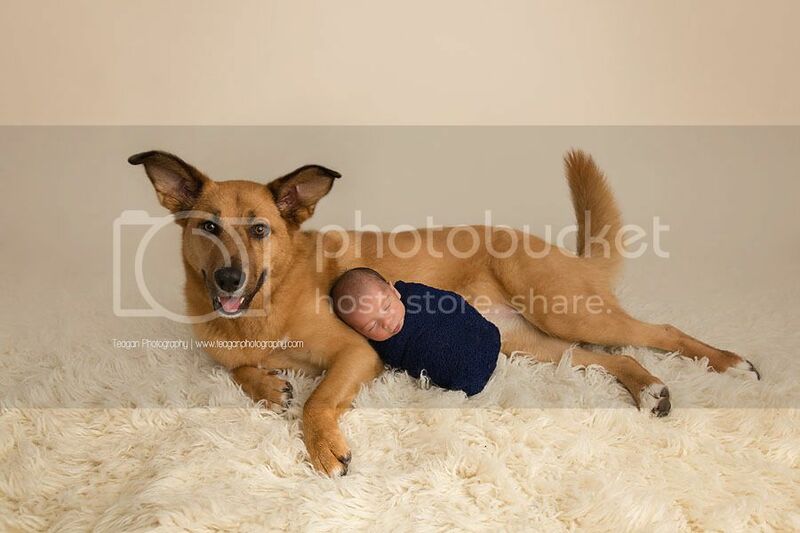 I just love it when pets are included with newborn portraits. I'm sure your Edmonton clients were so stoked you could get such amazing portraits with pets and siblings and parents too! 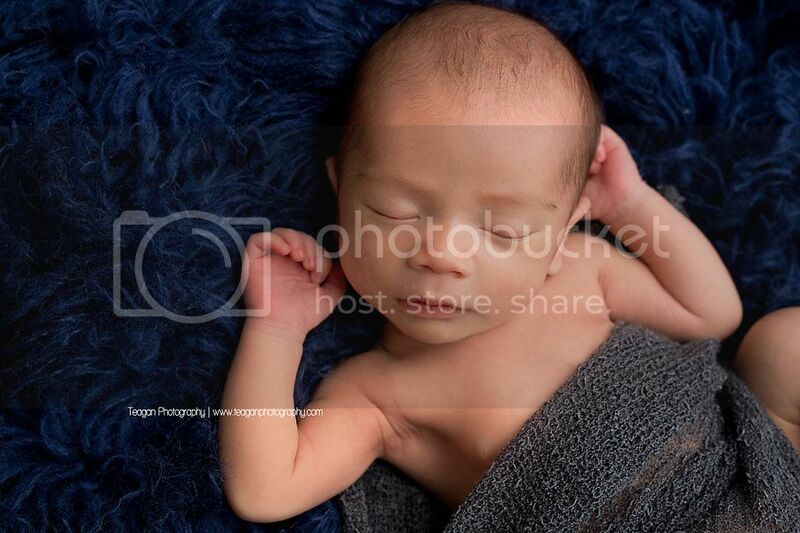 Such a perfect newborn portrait session! I love that the family included their favorite sports memorabilia and the dog. And I love that you explained the safety procedure for the dog photo. 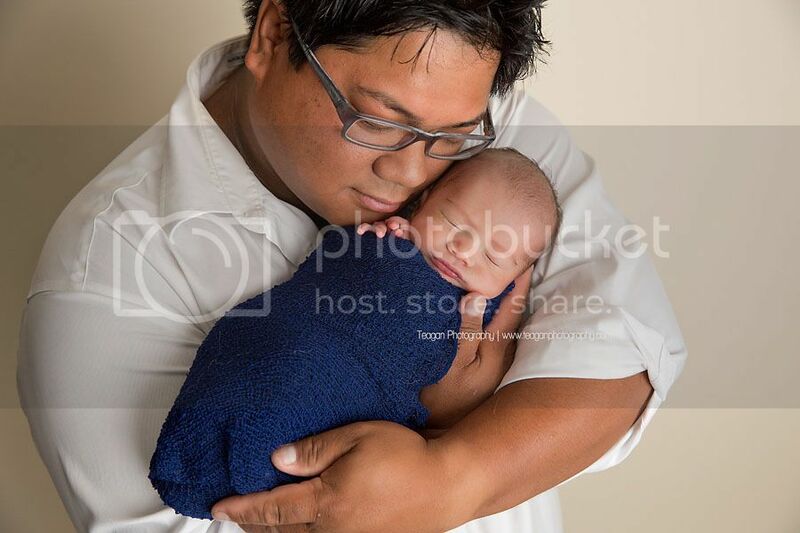 Your Edmonton families can rest assured that you will produce beautiful portraits while keeping their newborns safe! This is such an awesome newborn session! I love the bold colors, especially the navy blue, it looks so great on his skin tone! I love the jersey shots! I bet the family loves them since they are such big sports fans! Awesome job on that composite, you can't even tell! 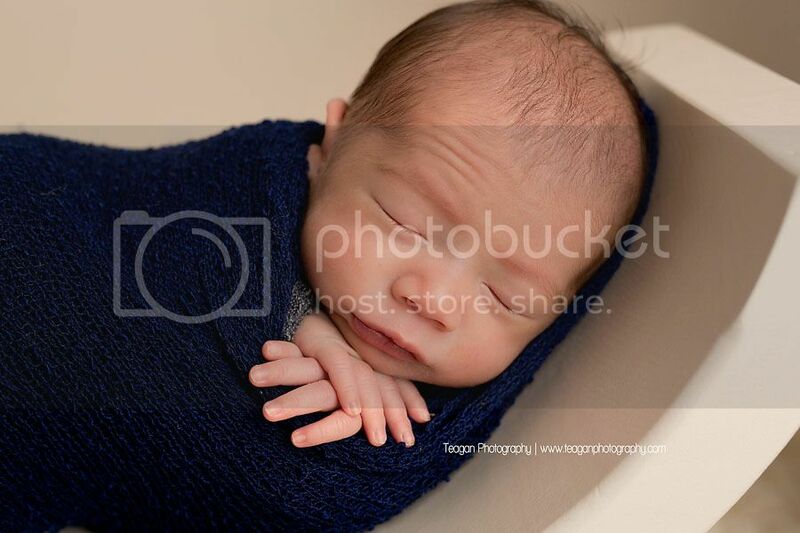 Oh my goodness what a precious newborn session! I absolutely adore the baby smiling in the first few shots with the sports theme. Amazing work.